If you’ve ever wondered what the difference is between the “bound” and “loose leaf” editions of The A.T. Guide, you’re not alone! That is why we’ve decided to dedicate this blog post to just that. The difference between the two is really quite simple–the “bound” version is just like any other paperback you own, with a hard binding on one edge to keep the pages together at all times. The “loose leaf” version is the very same book, with the bound edge cleanly cut off. 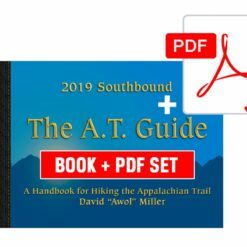 This way, hikers have the freedom to pick and choose which pages are essential to their specific trip, and opt to leave the rest behind in order to keep their packs as light as possible. 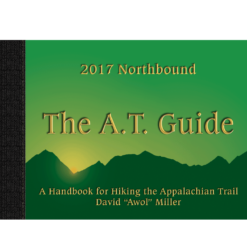 When you purchase the “loose leaf” edition of the A.T. Guide, you will receive your book neatly shrink wrapped. Both the “bound” and “loose leaf” versions come with a heavy duty, .4 mil. zip-lock bag, so you’ll have means of keeping the pages together, organized and safe from the elements. Extra zip-lock bags are available for purchase to organize your “loose leaf” guide into hiking sections. Prepare your section hike bags ahead of time, and then include them in your mail drops along the trail. As you finish one leg of your hike, the following section will be waiting for you in your next mail drop. This entry was posted in A.T. Guide Info. Bookmark the permalink.